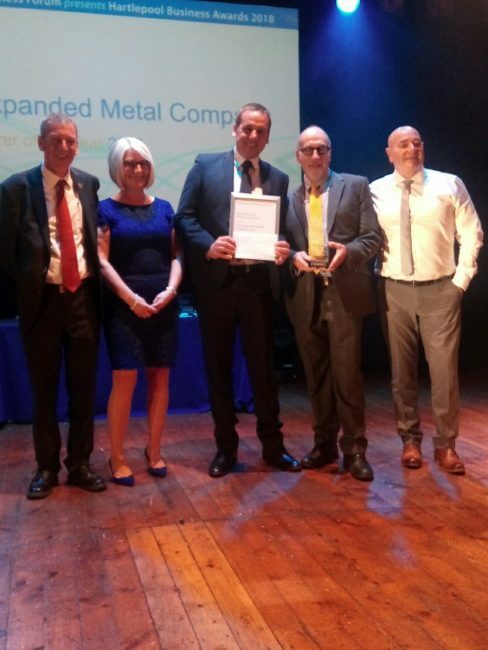 The Expanded Metal Company is celebrating after being named Manufacturer of the Year at the Hartlepool Business Awards held at the Borough Hall, Hartlepool on May 17. Every year the prestigious awards ceremony honours the accomplishments of the businesses community in Hartlepool. The award for ‘Manufacturer of the Year,’ sponsored this year by Waltons Clark Whitehill, champions the brightest successes within the industry. The judges looked for quality, investment in people and equipment, innovation and sales performance and growth prospects. The awards ceremony was hosted by the Hartlepool Business Forum and brought Hartlepool businesses together to celebrate their achievements. 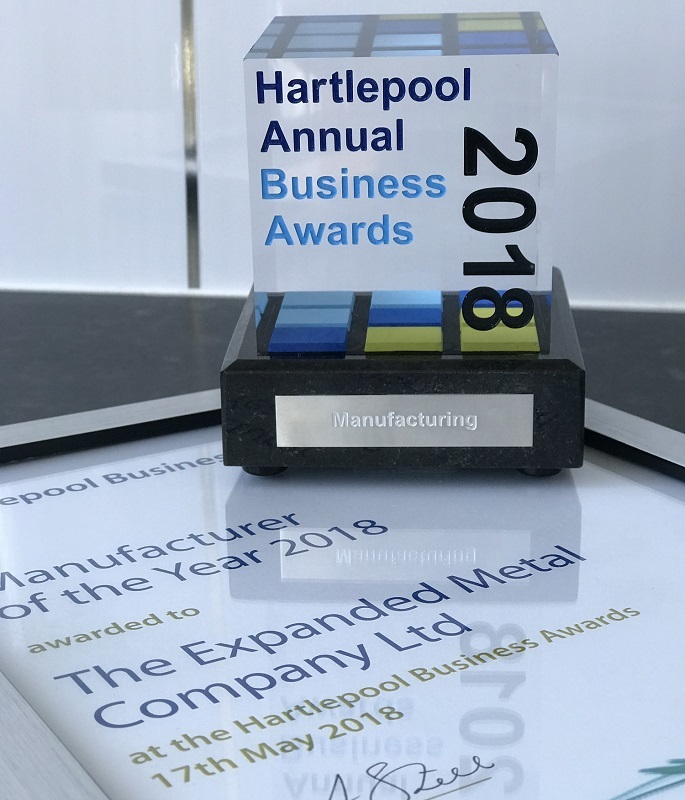 Philip Astley, managing director of The Expanded Metal Company, said: “We are absolutely thrilled to have been named Manufacturer of the Year at the Hartlepool Business Awards. “I would like to thank our team for their hard work and commitment to manufacturing excellence, which continuously helps us move forward. 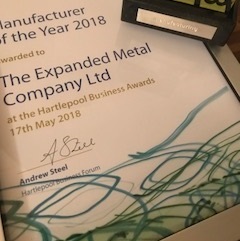 Our roots are here in Hartlepool and the company is part of the town’s manufacturing heritage, so we’re incredibly proud to have won this particular award. 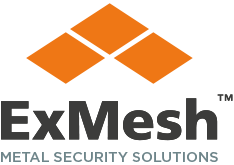 “It also recognises our position as a leader and innovator in expanded metal mesh.